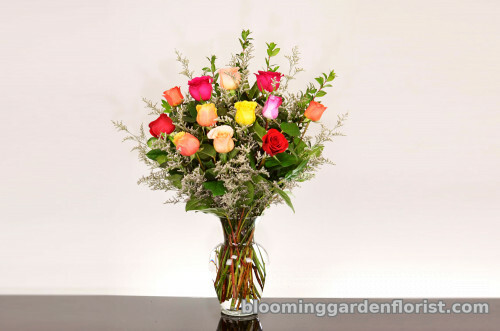 Send a beautiful rainbow of roses, designed artfully in a clear glass vase to warm someone special's heart. Send it, just because or to say thank you or just to say I love you! As pictured with 12 roses. 24 Roses and larger Vase.